As part of the track’s banquet, the schedule for the 2018 racing season was distributed to attendees, before being posted online. As anticipated, it will be a jam-packed year with lots of action taking place every single week this year. Of course, the track also made headlines earlier this off-season with the announcement of the “STOCK” Car Nationals. 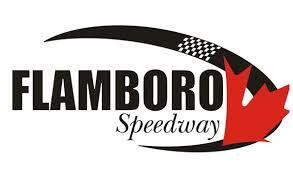 Taking place on June 10 and July 8, both events feature triple 50 lap features for the divisions on hand with 30 pure stocks, 30 mini stocks, and 24 super stocks set to start their respective features. The field will be set virtue of time trial qualifying, with a last chance qualifier possibly being held. So far, it has been announced that as long you qualify for the event, you are guaranteed $60 each for Pure Stock, $100 for Mini Stocks and $200 for Super Stocks; each of the respective overall event winners will each earn $1000. The rest of the payout structure has yet to be announced, but will use a graduated pay scale through the field. Then things get interesting, thanks to the some hard work and dedication from fellow racers. Rich Schwartzenburg has been rallying the troops together to increase the payout for the mini stocks, with Jonathan Ayrton doing the same for the pure stocks. From lap sponsors to contingency sponsors, the purse has only continued to climb with over $6800 available for the first mini stock date. Combining this new event, along with the track’s staple GOLD RUSH which returns to Pro Late Models after a pair of seasons with the Super Lates, and the year-end Frostoberfest igloo hunt, it seems things are on headed in a positive direction for the future.